Many-Eyed Hydra's Succubus Bordello: A Goblin Succubus...? Yup. This little... um... beauty is from Age of Wonders 3. 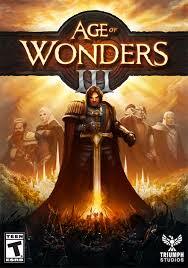 Age of Wonders 3 is a 4X game with a fantasy theme. Think Civilization, but where the top-end tech is dragons rather than nukes. The game also has some RPG elements in that a lot of the game is roaming around the map and looting various treasure sites in order to level up heroes and their warbands (as well as finding cool loot for them). The succubus is a unique unit for the Rogue class of leader. Interestingly it's also treated as a pseudo-class. Hence goblin succubus (the dwarf succubus has a beard...). It's also a fun unit as the main special ability is to steal (seduce) opposing units. Anything mind controlled and still alive at the end of the battle joins your side. This opens up another fun part of the game - you can steal baby animals and then grow them up, Hagrid-from-Harry-Potter-style, into terrifying monsters. While not as deep as either a pure 4X or RPG game, it's an entertaining mash-up of two genres. Aye, AoW 3 is a decent game and a worth sequel to the previous games.